New Year's Greetings might well be mixed; but not an omen for the entire 2019 market prospects. Sure, there are lots of variable contingencies early in this New Year; with my suspicions that we work through them (even if that means lower lows in the S&P before all is said and done). 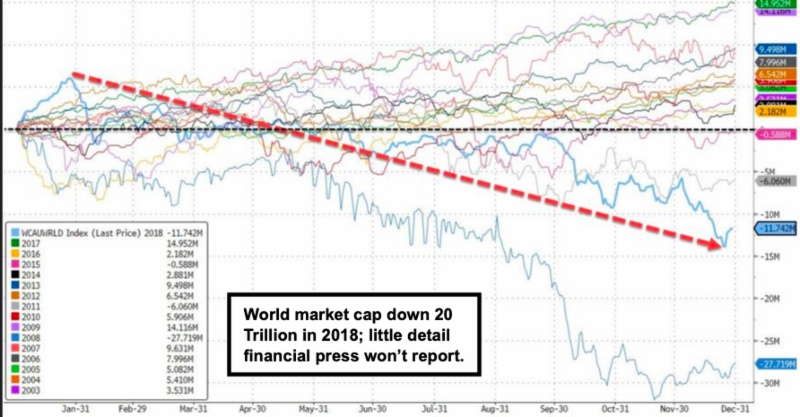 Remember, this is a 'transition year for technology', plus ahead of the 2020 Election tensions; so that reinforces the idea that most significant 'problems' for the market require sorting-out in the year's first half. Perhaps oddly, from a market standpoint, getting an 'acceptable' Trade Agreement with China is probably the most potentially favorable issue confronting markets; while the unknown characteristics of the political probe (inquisition?) the greatest odd unknown takeaway for markets down the line a bit. If there's anything really capable of disruption past the year's first half, that might be on the agenda. During 2018 bond traders began to see an increase in 'Auction sizes' after President Trump signed off on tax cuts. That surely heightened prospects of trilltion-dollar deficits and a surge in bond supply in coming years; beyond of course the already-heavy roll-off calendar the Fed has to deal with. 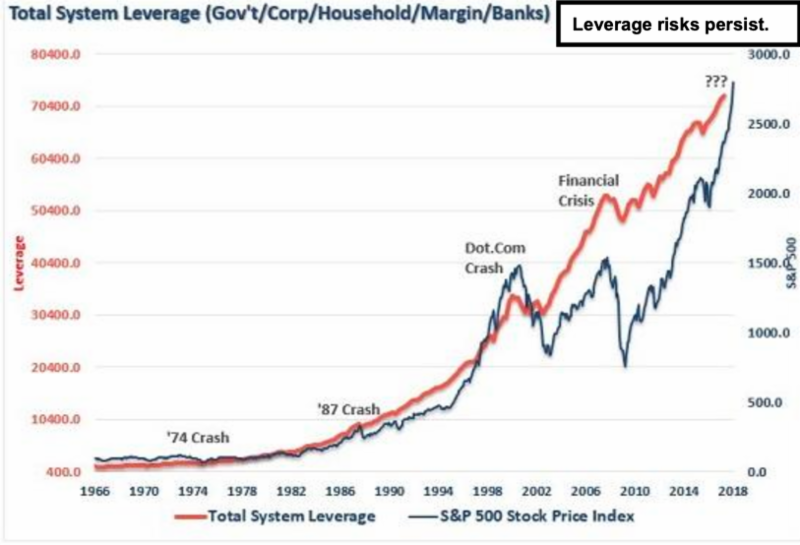 Maybe, just maybe, the Fed is grappling with this knowledge and thus absolutely is moving as they are, before that surge creates more bloated (dire?) scene. So that's probably 'why' the classic equity/rate relationship got distorted plus the subsequent (more recent) rush to Treasures for perceived safety. To put this in a summary form (remember I'm not a bond guy), consider that a Fed, nervous as heck about what's coming, started to price a fiscal premium into US Government long-rate bonds. If so the historic correlation between stocks and bond yields may not just be temporary as Washington aims to give us trillion dollar deficits for sometime into the future. And frankly (aka Japan) things deter that when rates firm on their own beyond this incredibly bloated supply situation, which would really be exacerbated if they don't roll-off the so-called 'automatic pilot' 600 billion, as they planned; but Wall Street and politicians are trying to dampen.